The Louvre, a former royal palace , lies in the centre of Paris, between the Seine river and Rue de Rivoli. The main architect was Pierre Lescot, who was appointed in 1546 by the king. Louvre was first opened to the public as a museum on November 8, 1793, during the French Revolution. During eight centuries, it has been continuously enlarged and embellished by French kings and emperors alike. In the 1980s, President François Mitterrand added the final touch to it with his "Le Grand Louvre" project. A stunning pyramid of steel and glass was built at the entrance to the old museum. 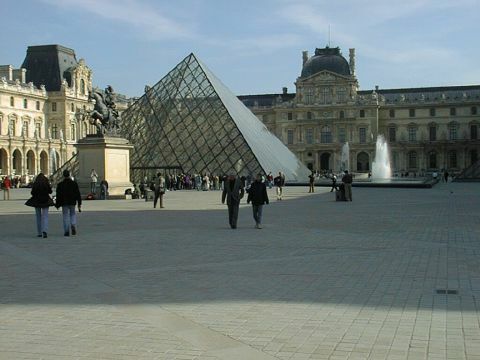 The Louvre museum houses of the world's greatest art collections.